The College of Nursing offers innovative programs to meet the professional needs of students from entry into practice to the Doctor of Nursing Practice. The National League for Nursing has recognized the College of Nursing as a Center of Excellence in Nursing Education, one of just 50 institutions to hold this recognition. The College also houses the Indiana Center for Evidence Based Nursing Practice, a Joanna Briggs Center of Excellence. The Center collaborates globally with other healthcare groups to improve health outcomes through the integration of evidence based practice in nursing education and practice. Master of Science with a major in nursing with concentrations in adult-gerontology clinical nurse specialist (online or a mix of classroom and online), family nurse practice (online or a mix of classroom and online), nurse educator (online only) and nurse executive (online only); online post-master’s certificates in adult-gerontology clinical nurse specialist, family nurse practitioner (admission currently closed) and nurse educator. Doctor of Nursing Practice with a concentration in knowledge translation; accepting students who have at least a master’s degree in nursing and offered online in cooperation with Purdue University West Lafayette. The undergraduate degree prepares a nurse generalist with baccalaureate level nursing competencies who will be able to provide comprehensive, safe, nursing care for people from birth to death within a variety of healthcare settings. It also academically prepares students to wish to pursue advanced degrees in nursing. Upon completion, the student will be eligible to take NCLEX-RN, the licensure examination for registered nurses. Master’s level graduates are prepared for advanced nursing practice as family nurse practitioners (FNP) or adult-gerontology clinical nurse specialists (AG-CNS) and are eligible to be certified in their area of concentration. Other master’s level programs prepare nurse educators for clinical or community college environments or nurse executives, ready to assume leadership roles in clinical arenas. These programs have a strong clinical emphasis and prepare nurses to lead evidence based practice change in their settings. The Doctor of Nursing Practice (DNP) is a post-master’s degree offering that prepares nurses to lead transformative change in healthcare. This online degree is offered in cooperation with the West Lafayette campus. 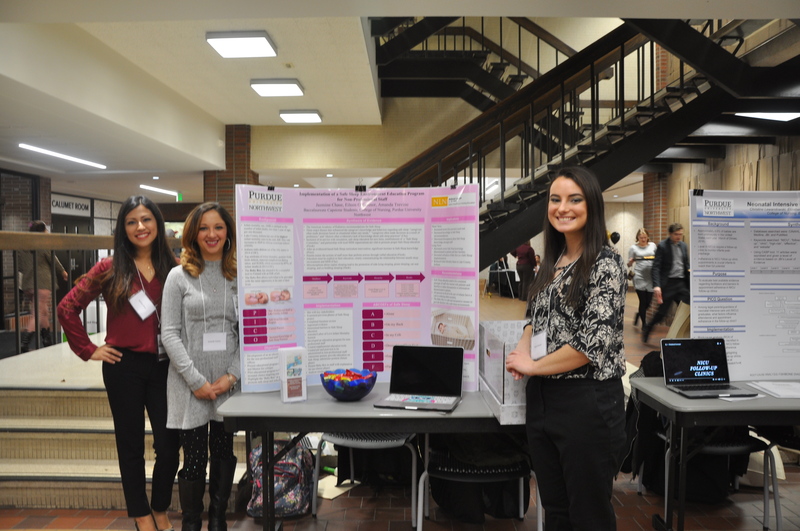 At the PNW campus, students are prepared to lead transformative healthcare by becoming experts in the search, appraisal, synthesis, transfer, and application of evidence and in the evaluation of its impact on outcomes. All programs have special admission requirements that are available through the specific program’s website.